Convenient. High-quality. Great value. 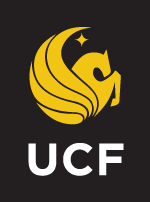 As a leader in distance education, UCF offers online graduate degree programs designed to meet the needs of busy professionals planning the next step in their careers. Earning your master’s or doctoral degree, or graduate certificate, through UCF Online will prepare you for your next promotion and give you a competitive edge in the job market. Check out the official Graduate Catalog and Office of Graduate Admissions websites for complete graduate admission requirements. * Individual programs may have additional admission requirements.